The share of renewable energy in electricity generation reached 32 percent in the third quarter of 2017, surpassing the target of 30 percent that was set for 2023. The share of renewable energy, which serves as one of the most important pillars of the National Energy and Mine Policy and led by hydro, wind and solar energy, reached 32 percent in the third quarter of 2017, surpassing the target of 30 percent that was set for 2023. One of the important pillars of the National Energy and Mine Policy initiated by the Ministry of Energy and Natural Resources to reduce external dependence on energy is renewable energy sources. In the last 10 years, 53 percent of investments in power generation facilities have been made in renewable energies. Electricity production, which was 129.4 billion kWh in 2002, reached 219.6 billion kWh in the third quarter of 2017. Approximately one-third of the production was provided by renewable energy sources. Considering the fact that 66 percent the electricity needed globally was generated from fossil fuels and 24 percent from renewable resources, Turkey ranks much higher than the world average with 32 percent. According to HaberTürk's report, the Ministry of Energy and Natural Resources, which focuses on "more domestic and more renewable," has prioritized the renewable resources regarding the strategy it has developed for this purpose. Important steps have been taken for wind, solar and geothermal resources. Through these steps, the share of renewable resources in the installed capacity in Turkey was achieved well above the world average. The electricity production from renewable sources, which amounted to 34 billion kilowatts in 2002, reached 91 billion kilowatts with an increase of 168 percent in 2016. The installed capacity of renewable energy resources tripled at the end of the third quarter of 2017, rising from 12,277 megawatts to 36,702 megawatts. The total installed power of renewable energy investments realized until the end of the third quarter of 2017 stood at approximately 4,793 megawatts. Domestic and national energy mobilization brought localization not only in production resources but also in technology. In this context, significant steps have been taken to use energy resources more efficiently and effectively with the Renewable Energy Resource Areas (YEKA) model, which requires the obligation of domestic employment and research and development activities. 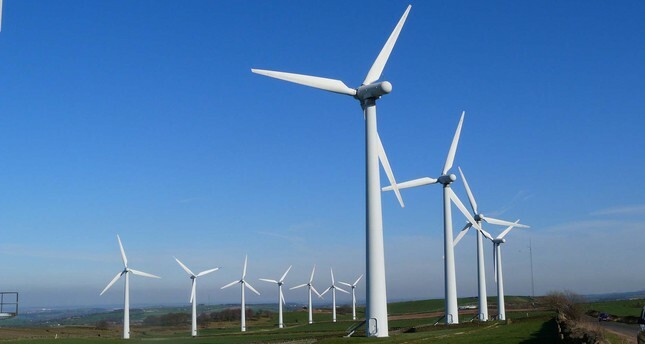 With the new model, the renewable energy resource production facilities such as solar and wind will be installed with parts and components with high domestic contribution rate and advanced technology. Technology transfer will be made available, and research and development activities in renewable energy will be developed in Turkey. Together with the YEKAs, electricity will be generated from renewable energy at lower prices. Thanks to the factories that will be established within the scope of the Land Allocation in Exchange for Domestic Production model, a significant amount of human resources will be provided for domestic employment and qualified personnel. Evaluating the RES tender made by YEKA model, Energy and Natural Resources Minister Berat Albayrak said eight of the 10 largest turbine producers in the world, including four German, two Chinese, one American and one Danish company, participated in the YEKA RES bidding. "These eight companies represent 90 percent of the wind market. Such an intense interest in a long-term project like YEKA is an indication of the confidence in our country's economy in the international arena," the minister continued. "Within the scope of YEKA projects, at least 90 percent in the establishment and operation of the electric energy production facility and the operation of the factory and at least 80 percent in the research and development activities have been conditioned with local employment. The aim is to form an experienced and qualified workforce in this context. A great industry has emerged related to renewable energy technologies," he added. The second tender within the scope of the YEKA model was held for wind energy. The project, which has an investment amount of over $1 billion within the scope of YEKA Wind Power Plant (YEKA RES), will have a total installed power of 1,000 megawatts. The project, which will have a minimum generation capacity of 3 billion kilowatt-hours of electricity each year, will meet the electricity requirement of 1.1 million households. The consortium that will receive the tender will be conducting the research and development activities for 10 years with the condition of spending at least $5 million every year. Total employment to be provided within the scope of the project is expected to be 3,750 people. An important input of the YEKA model will be to increase clean energy production. YEKA RES project will provide 1.5 million tons of CO2 emission reduction per year alone. The first application within the scope of YEKA was realized in Karapınar, Konya. The world's largest solar power plant (GES) with a capacity of 1,000 MW will be installed in 19.2 square kilometers of the 27.2-square-kilometer area designated as the Renewable Energy Resource Area (YEKA). With its operation, it will produce approximately 1.7 billion kilowatts of electricity each year. Thus, an average of 600,000 households will be provided with energy every year. At the production facility, which will be operated for 30 years, photovoltaic (PV) solar modules to be manufactured in Turkey, and auxiliary parts certified as domestic materials to be supplied from domestic producers will be used. The domestic contribution rate will be at least 60 percent for the first 500 MWp and at least 70 percent for the remaining 500 MWp. The integrated plant whose foundations were laid with the said project, is expected to start production one year later. The Ministry of Energy and Natural Resources, which aims to further include renewable energy resource areas into the energy portfolio, has provided significant support to the private sector with Renewable Energy Resources Support Mechanism (YEKDEM) in this regard. Factors such as improved new technologies, quicker and easier installation increased efficiency in production and reduced costs. With YEKA, a record-breaking decline was experienced in prices. For solar-based production facilities, a maximum price of 20 cents per kilowatt-hour was paid with YEKDEM, while the price fell to 6.99 cents with YEKA model. For wind-based production facilities, a maximum of 11 cents was paid per kilowatt-hour with YEKDEM, while a record figure of 3.48 cents was achieved with YEKA. YEKDEM, which will be terminated in 2020, will be replaced with YEKA investments.